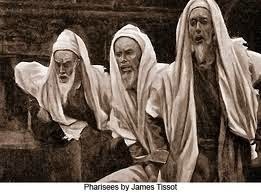 The religious world is inundated with the Pharisaic system that was prevalent in the earth-walk of Jesus. It is characterized by mixing the Gospel of God’s Grace with the ideologies, precepts and doctrines of men and the laws of the old covenant...that ungodly religious system, I refuse to support or submit to, even though religion presents it as Godly and in doing so have deceived many. The mixed-grace gospel of the religious pharisees today preaches the message that salvation is by grace but maintained by obedience to the law and religious observances. It is a gospel that says one of God's blessings (salvation) is grace given, but holiness, sanctification, the amount God loves us, forgiveness for our failures and fellowship with God comes by keeping the law and the rituals of religion. This gospel denies that Christ did it all because after saving us by grace we have to do the rest to ensure our relationship with Him. Does Having a Spiritual Relationship with God Require Following some Religious Denomination? It is a historical fact that when a crises takes place, such as the tragedy of 9-11, denominated buildings experience an increase in attendance, bible sales increase, books on "so called prophecy" fly off the shelves as preachers avail of the opportunity to attribute the tragedy to God's judgement and try to scare the hell out of people to get them to join their particular brand of religion. Yet when the crisis is over, people revert to the way it was before the crises and religion plugs along in it's religious stupor. Is this going to religion the same​ as going​ ​to ​God? Not by a long shot. 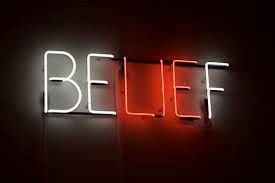 The Unbelievableness of the Believable Beliefs I Believed. 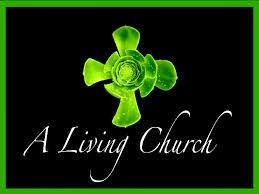 For most of my life I though I knew what it meant to be a believer within the Community of the Redeemed. Repent of my sins by saying the sinner's prayer. Attend some segregated denomination building for the Sunday-programmed-event-driven meeting that was called Church. Talk Christianized, act Christianized, dress Christianized, look Christianized. 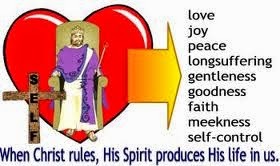 Receive spiritual food from the trained denominated seminarian. Obey the religious rules and regulations pertaining to the religion of choice. Don't date non-christianized girls or girls belonging to a different denomination because they are not of “like faith”. Remember the Sabbath Day and keep it holy, which for some reason was the first day of the week and not the seventh day. Pay your tithes, because all true believers do. Often, when criticisms are felt to be most convincing, religionists will attempt to divert attention from the issues by attacking the character of their critics. The criticism that upsets the religionists is the assertion that they elevate scripture to the level of Christ, if not over Christ. I know how unsettling this thought can be because I was once under the influence of such deception myself. Defending the Bible became very disturbing to me when I observed that the best efforts to defend the Bible did nothing but win or lose an argument and distract people from developing a genuine relationship with Jesus by not hearing the gospel of God's love and grace. 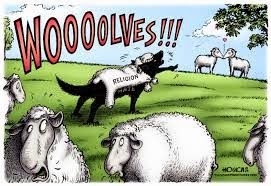 Are You an Easy Prey for Wolves in Sheep's Clothing. Paul had this to say about false teachers: “I know that after my departure fierce wolves will come in among you, not sparing the flock; and from among your own selves will arise men speaking twisted things, to draw away the disciples after them.” (Acts 20:29-30). Religion would not exist without deception because it would lose control over the people. The way it keeps control over people is by convincing the religiously deceived that deception is truth! The hinderance of religion to the cause of Christ is subtly deceptive and most of the people involved in religion are ignorant of its deceptiveness thus, accept the deception as truth. Sadly, in our modern times, it is rather difficult to read a version of the Scriptures which is not already predigested, spit back out, and the interpreted Word of God. In fact, this is the tragic state of most modern versions of the Bible. If we are truthful with ourselves, we must be willing to admit that even our beloved KJV Bible has fallen victim to the same process, and is likewise the interpreted Word of God. If you are not yet aware of this important fact, please be advised that similar to all other versions of the Bible, our beloved KJV Bible is not based on the original autographs -- that is the original Hebrew and Greek manuscripts -- which were lost to time, decay and willful human destruction many centuries ago. Check out this guy's article. Are you Living by Circumstancial Evedence? Sometimes when going through circumstances people become cantankerous and hard to live with. We can get mean, rebellious, critical, negative and even blame God for what is happening and become angry at God. This doesn't mean that we have forsaken our relationship with God, but it does mean that we have an unsurrendered self life, we are being governed by our carnal nature. But through all this God is faithful wants us to change our self life for His life. It is not the circumstances that will defeat us it is our reaction to the circumstances. The Christ life within us is everything necessary for righteousness, victory, and authority over every circumstance of our life. It just need development and our correct reaction to circumstances will help develop it. This takes our whole spirit, soul and body being surrendered to God so He can work out the spirit of authority so you will take authority and practice a sonship relationship. Jesus in Us...BUT...is Jesus Living Through Us? All religious denominational fountains are dry when it comes to satisfying the inward thirst of your spirit. They are dry because there is no spiritual substance in them. They look great to the self-righteous carnal nature, but once you get into them there is no genuine relationship with God thus, no genuine spiritual satisfaction. Every time you say yes to God and no to religion, another spiritual block is added to your spiritual foundation. 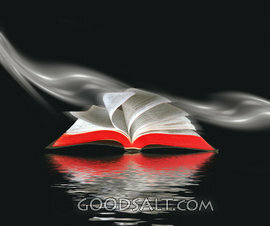 Every time you obey the Word instead of your carnal fleshly desires another spiritual block is added. You are maturing and building a house that Jesus desires to reside in and work through. 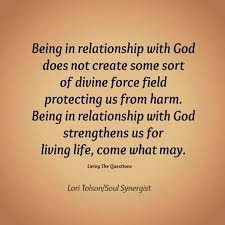 Unless we are in a love relationship with God and realize our identity is found in God, our sense of value as individuals will come from how well we perform as a person and how well other people acknowledge or reward our performance in order to be accepted as a member in good standing by the group we associate with, religious or secular. 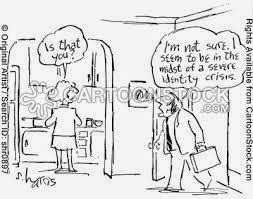 This leads to a false view of who we are because our identity is determined my what other people think. 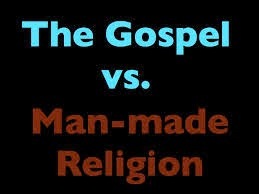 Is the prevailing belief system of the religious world authenticated by Jesus Christ and Bible? 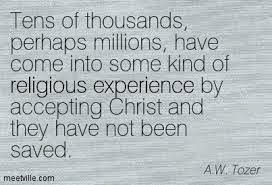 While the vast majority claim that "Christianity" is the religion of the masses...to which I concur...I contend that it is not the way of the "Community of the Redeemed" that Christ came to establish. Christianity has become a well oiled religious institutionalized religion that is the greatest hindrance to the plan of God for the Community of Humanity and the Grace Gospel of Jesus Christ in this earth. This christian religion exists as the way to find God because of its heavy use in its misuse and abuse of the content and contextual setting of the Scriptures that is claimed to be the foundation of all segregated denominational groups. Although biblical terminology is heavily used, it is not Biblical and it is a false belief system based on what Paul calls "another gospel". This belief system is a counterfeit version of what Christ died and rose to create. 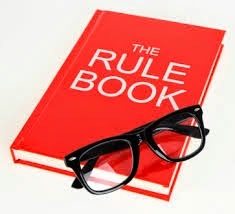 As believers within the religious denominational world we are taught and programed to study the bible as a rule book for daily living because it is “God's rulebook” No doubt, the bible contains many rules, but to say it is primarily about rules for believers to live by as a summation of the bible is wrong and it is lying. 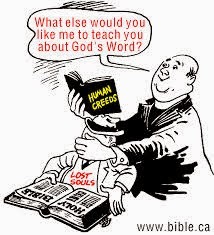 Believers who misuse and abuse the bible this way are liars to put it bluntly! 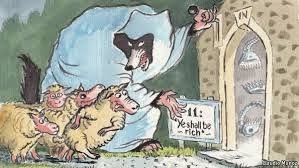 An Exposition on the Fraudulent Fleecing of the Flock. Mixing lies with truth does not make what is being taught TRUTH. What about this truth and lie mixture..."Tithing was a form of worship to God, and since we still worship God, we must still tithe." Makes sense, right? Well if that is true I guess this statement must be true as well...Burnt offerings were a form of worship to God, and since we still worship God, we must still offer burnt offerings to God? The mixture of the truth with a lie is ridiculous, idiotic and a deception of the devil that is accepted as truth by the religiously deceived. Is it Damagining to the Cause of the Gospel? I find no evidence in Scripture for religion, nor for denominational formation. The idea that religion is the way to find and hear from God is the gospel way is a lie that is believed to be truth by the religiously deceived. The English word "religion" is etymologically derived from the Latin word religo, meaning to "bind up." Religion binds people up in rules and regulations or in ritualistic patterns of devotion. The Illuminated Sign by the Church Door Read "Everyone Welcome". I have seen the "Welcome Sign" over the door of many denominational building that extended an open invitation to all...but I have contemplated as to how much truth was to "Welcome Sign". 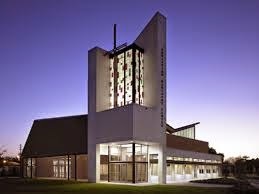 I have visited some of these denominational welcome signed buildings called Church and found the people to be very denominational indoctrinated and set in their ways, regarding what they believe and do. For the people who conform to what they believe and do what they do, were without a doubt welcome to be there and eventually, in order to be a member had to sign a document to confirm that they conform to the beliefs of the denomination along with participating in their rituals and practises. Are you so opinionated that you deem your opinion to be the right opinion all the time? Well...I guess you are entitled to your own opinion even if it may be the wrong opinion! Hold to your opinion lightly because your opinion may not be the correct opinion! Once you preach and teach your opinion for so long it becomes doctrine to you and even though it may be false you deem it to be right! Do religious experiences experienced during programmed-event-driven meetings, no matter how solemn or boisterous the atmosphere, resemble true Church reality? What passes for Church in Sunday-event-driven meetings is so far removed from what Church reality is that it fails at even being a cheap imitation. Some institutionalized churches bring in big name speakers, big name singers and set aside time for special meetings and call what takes place in these event-driven meetings, "Church reality". The meetings are set up by denominational organizers who, in some cases want to do a great work for God, but fail to see that Church reality is about God doing His great work in and through ​His Community of the Redeemed​ in their ​ daily​ living of life. God did not send Jesus to reform, refine, renew, redo, or even recreate us...He came to make us a complete NEW CREATION in Christ Jesus. He came to do away with, obliterate our old nature and give us a NEW NATURE...HIMSELF. One of the most dangerous deceptive deceptions that Christendom is deceived by, is people sitting under teaching that is laced with a mixture of LAW and GRACE and believing it is the gospel. The law can only administer death (2 Cor 3"6-7). 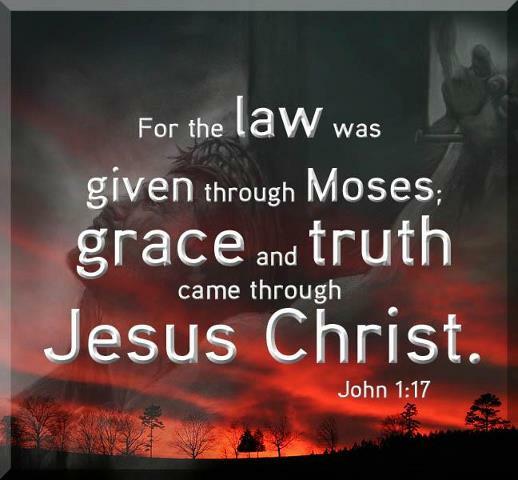 On the other hand it is the Grace and Love of God that sets us free from the Law of sin and death and alive unto Christ. The Community of the Redeemed is more about Relationship Quality than it is religious Numeric Quantity. Many denominations become preoccupied with trying to reach some kind of agreement over a measurable program they can use to measure membership increase. To raise caution regarding measurement solutions at such a time will get one labeled an enemy of positive change or a lazy good-for-nothing who is unconcerned about the decline in membership in the "church".